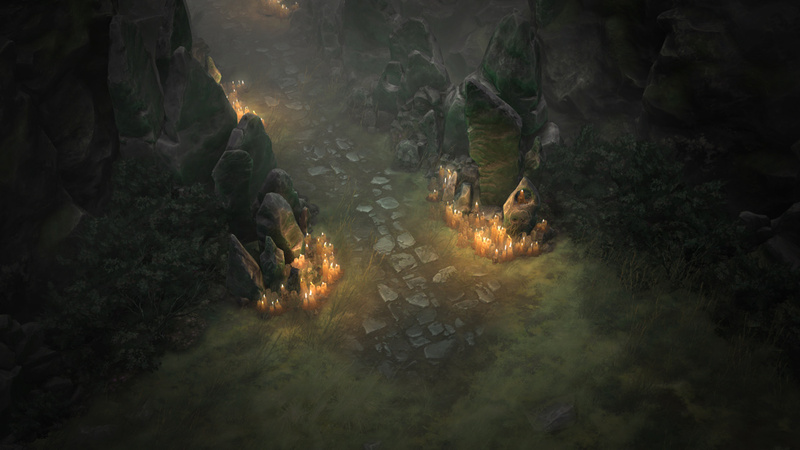 Sanctuary is a big place, and in Patch 2.6.0 it’s about to get bigger! 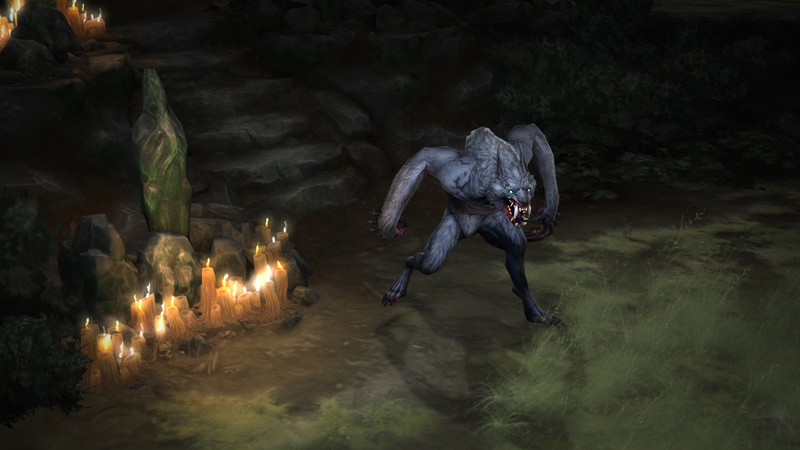 With new areas appearing in Acts II and IV of Adventure Mode, there are more places to explore, more bounties to complete, and more monsters to slay. 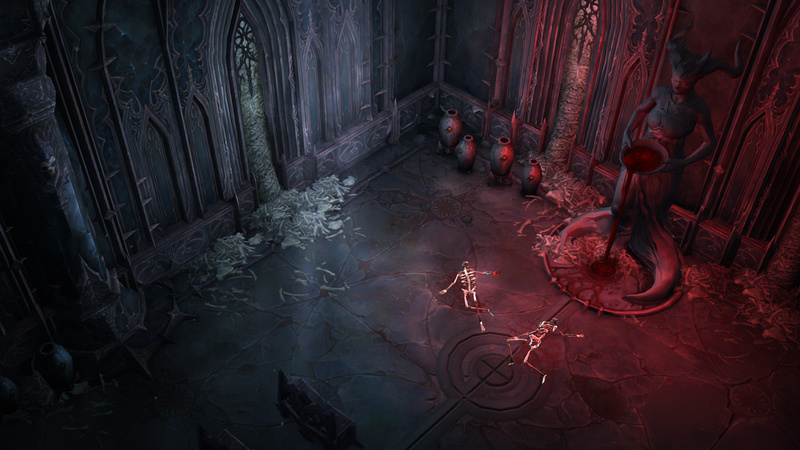 Join us, nephalem, as we take a first look at these new locations. Fetid swamps stretch beyond your vision, obscured by a dense fog that commands malevolent intent. Ancient structures long since abandoned are scattered across the sunken mire, and the absence of human activity might have something to do with an ongoing eerie sense of being watched. Still, despite the sense that something unnatural looms in the distance, the notion that treasure and glory may await tempts even the most cautious being. Welcome to the Shrouded Moors. Early concept for the Shrouded Moors. Located in the northeastern reaches of Sanctuary, the Shrouded Moors border a verdant wilderness. This land shows clear signs of the influence of those untamed wilds, as beasts most foul and vicious have become its primary inhabitants. 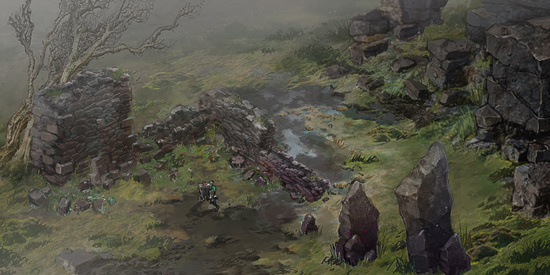 The remaining stone structures—their purpose lost to the passage of time—stand as the only clue to any humanoid settlers that may have once called this forsaken soil home. Whether because of the scattered structures and creatures within, the Shrouded Moors are an unsettling place. 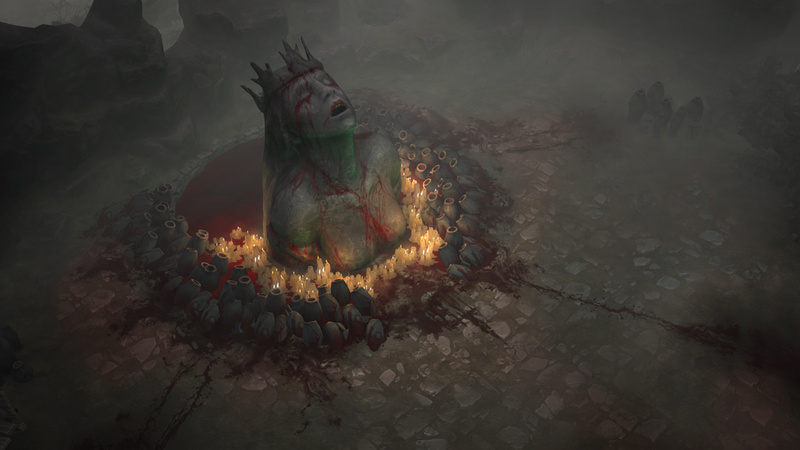 The Temple of the Firstborn: Desiccated or Desecrated? An ancient monument to the earliest nephalem, the Temple of the Firstborn has long been hidden away deep beneath the surface of Sanctuary. However, a new and dangerous cult has arisen and taken residence within the buried structure. Disappearings on the outskirts of the moors are inciting fear, and the dusty tiles of the temple are streaked with disturbingly fresh blood. There is no doubt that a powerful evil now lurks below. Early concept for the Temple of the Firstborn. These cultists have been hard at work, twisting the flesh of mortals and bending creatures to their ill will. 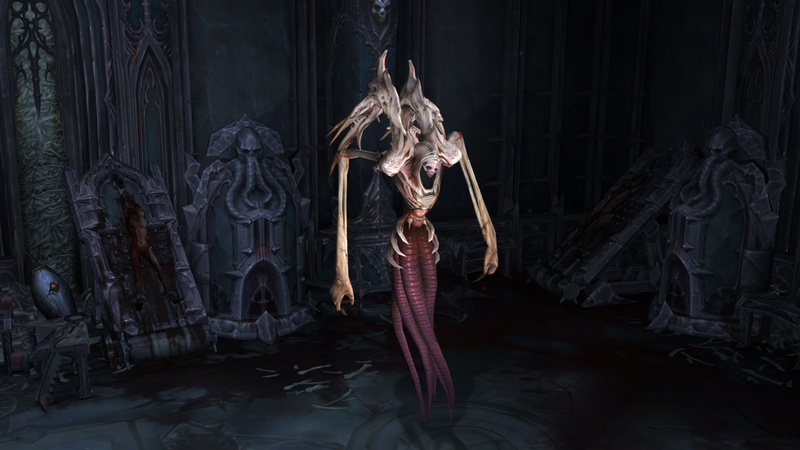 Abominations stalk the halls—horrors that should not be, filled with hate and driven by bloodthirst. Who, or what, bids the creation of such terrible creatures? 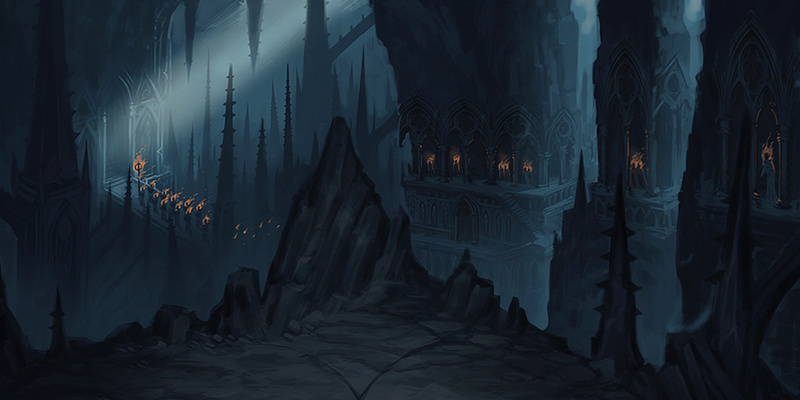 Darkness inhabits the ancient halls of the Temple of the Firstborn. The High Heavens are still reeling from the events of the Prime Evil’s assault. While the angelic host works to repair the damage from the atrocities that violated their sacred home, the Archangel of Fate, Itherael, has discovered a curious development in the far corners of his sanctified libraries. Seamless environmental transitions blend endless possibilities together. The tomes and history stored within his libraries are changing the heavens themselves, transforming into small pockets reflecting the past, present, and potential futures. Though no one can make sense of why this has occurred, it still poses a threat to Sanctuary. 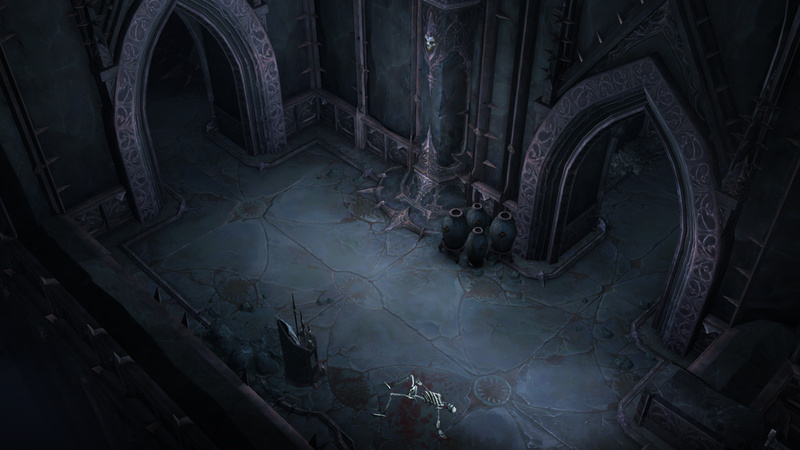 Tyrael invites the nephalem to investigate, his faith in their skills, if not their hearts, still strong. Bounties, Treasures, and Monsters Await! All three of these new areas are coming in Patch 2.6.0, completely free to all players with the Reaper of Souls expansion pack or Ultimate Evil Edition of Diablo III. Will you solve the mysteries lurking below the Shrouded Moors? Or will you wander the Realms of Fate, forever searching for your future? The choice is yours, hero, and we look forward to seeing the fruits of your endeavors!